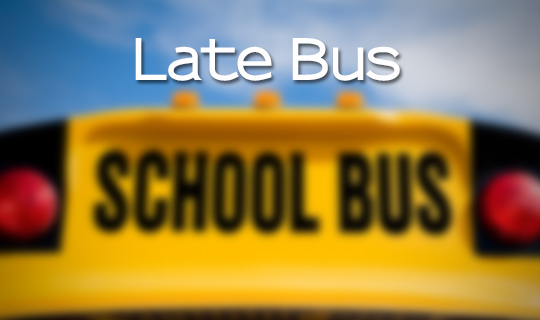 - Bus 228, driven by Joann Beaver, is running 20 minutes behind schedule for Truro Elementary. - Bus 100, driven by Linda Hansen, is running 20 minutes behind schedule for Harmony Heights Elementary in Salmon River. - Bus 190, driven by Janet MacKenzie, is running 15 minutes behind schedule for Harmony Heights Elementary. - Bus 120, driven by Jim Dodge, is running 15 minutes behind schedule for Harmony Heights Elementary.